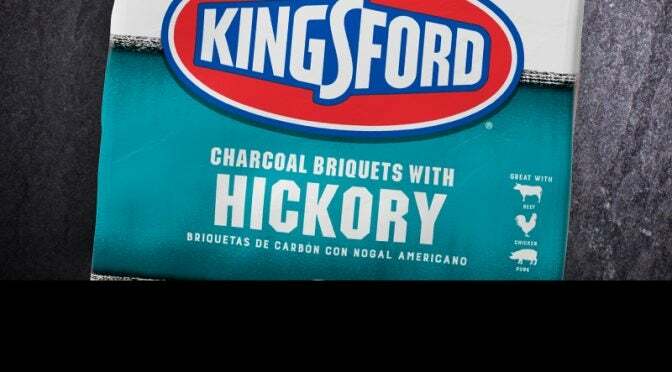 Take your BBQ’s flavor up a notch with the savory smoky wood flavor of Kingsford® Charcoal with Hickory. Made with 100% natural ingredients and real wood, Kingsford® Charcoal with Hickory delivers the authentic, smoky wood flavor BBQ lovers crave. It’s the perfect complement to your pork, poultry, beef or game. And, just like Kingsford® Original Charcoal, Kingsford® with Hickory lights faster* and burns longer than competitive brands.† Available in a variety of sizes, from 4-lb. to 16-lb. bags. * Compared to nationally available conventional charcoal in the U.S.A.
† Compared to the leading store brand charcoal in the U.S.A.